If things go to plan, the options available to EPFO members will similarly include government securities, debt instruments, equity investments, money markets and infrastructure investment trusts. Under NPS, active subscribers are allowed to choose between four schemes - covering government securities, equities, fixed income instruments other than government securities and alternative investment funds - in the proportion they want, subject to overall caps. NPS subscribers can choose to invest up to 75 per cent of their contributions in equities. If things go to plan, the options available to EPFO members will similarly include government securities, debt instruments, equity investments, money markets and infrastructure investment trusts. "It [subscribers' money] could be fully in equity, partly invested in equity, or the entire fund kitty could be put in government securities or debt instruments, depending on the risk a subscriber is willing to take and the return he expects on his investments," the official explained. The concept will not only prove beneficial to subscribers, but also help the government. As the source pointed out, the proposal will provide long-term resources to productive sectors in the economy. The development was reportedly triggered by falling returns on government securities and debt bonds - which fetch around 7 per cent annualised return - while the return on equity investments has been over 16 per cent since it started in 2015. But members with a higher risk appetite could not show a preference for equities since the finance ministry has already notified a set investment pattern for non-government provident funds, superannuation funds and gratuity funds. Currently, the savings of all subscribers are invested in the following pattern, applicable since April 1, 2015: 45-50 per cent of the PF kitty has to be invested in government securities, 35-45 per cent in debt instruments, 5-15 per cent in equity, and 5 per cent each in money market instruments and infrastructure trusts. In the bargain, the annual returns on PF savings is at around 8.5 per cent, much lower than around 10 per cent in the case of NPS. 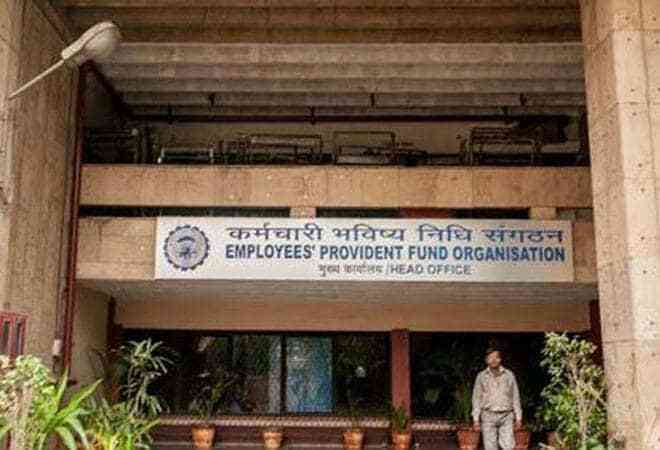 Interestingly, EPFO has already approved a proposal for crediting exchange traded fund (ETF) units to PF accounts, in addition to the cash component. An ETF is a security that tracks an index, a commodity or a basket of assets like an index fund, but trades like a stock on an exchange. Under the revamped accounting policy, all subscribers would individually have two separate member account heads: Fixed income, where fixed annual interest gets credited to members account; and equity, where investment in equity is reflected as units and the return is marked to market. The retirement fund body's apex decision making body Central Board of Trustees had approved this new accounting policy last November.